then you can skip to the time shown on your screen right about now. If you want to find out, keep watching. Good, now let's get into it. and that of Cache memory. The CPU wants data, so that is your stomach, which wants food. The fastest and most readily available place where it can get food is your mouth. That would be the cache memory. lot of food or data at any time only a few megabytes. On the other hand, a hard drive can store a lot of information. In our analogy, that would be a fridge. fridge and dig around for whatever it is you're craving. Here's where the RAM comes in. The RAM is the plate sitting in front of you on the table. everything in your mouth all at once. way, so before you get going, you want to find out what motherboard your system has. find by clicking the card in the top right corner of the video. Go watch that and then come back here. expressed "DDR" and then a number. unlikely for you to have that. You could also find motherboards that simply say they support DDR. That is basically DDR1, the original version, which is incredibly outdated by now. Every motherboard has a maximum amount of RAM that it supports. than that, because that would just be a waste. It is also worth checking how many DIMM slots your motherboard has. Those are where you plug your RAM in. from 2 on compact boards to 8 or even more high performace premium boards. For example, if your board has 2 slots, don't buy 4 sticks of RAM, obviously. make sure that you aren't mismatching RAM. Ideally, all of your sticks should be completely identical. hands on more of the same ram modules. One other thing that is easily overlooked is RAM clearance. the DIMM slots, not letting you plug your memory in. laptop, then you need to look for SO-DIMM sticks. Laptops use SO-DIMM slots unlike the usual computer DIMM slots for DIMM sticks. things is the same, so everything we've said before still applies here. 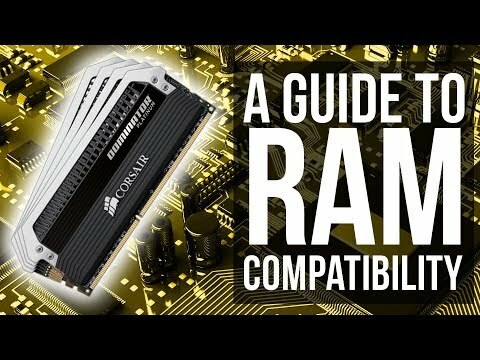 So, to summarise, here's what you need to check when buying RAM: is it the right generation? Am I getting the right size format (DIMM for PC's and SO-DIMM for laptops)? Do i have enough slots on my motherboard? Does my motherboard support the amount of RAM that I am planning to get? Will my CPU Cooler leave enough room for my RAM to be mounted? Am i getting modules that have the same specs? If the answer to all of those questions is YES, then you are good to go! the round channel icon in the middle to subscribe. And as always, this has been vlad from goodsauce tech, and i'll catch you in the next one.